The Torres Strait Islander Festival which happens once a year in Queensland, Australia, marks a rare opportunity to raise awareness of its important culture. The overall intent of the Festival is to celebrate the contemporary and historical culture of Torres Strait Islanders. The Queensland Museum exhibition Awakening: Stories from the Torres Strait, seeks to raise awareness of the complexity and diversity of Torres Strait Islander culture through an object-rich exhibition. A major theme in this exhibition is ‘Awakening’ – the concept of reconnecting objects, people and spirit. It is within this theme that Queensland Museum requested to borrow the precious Torres Strait Mask from the Te Papa Collection. The Te Papa Mask is of particular interest to Queensland Museum because it features a European style broad-rim hat, illustrating the complex cultural interactions that were taking place in late 19th century Torres Strait, and the survival and continuity of Torres Strait culture in the wake of European contact. 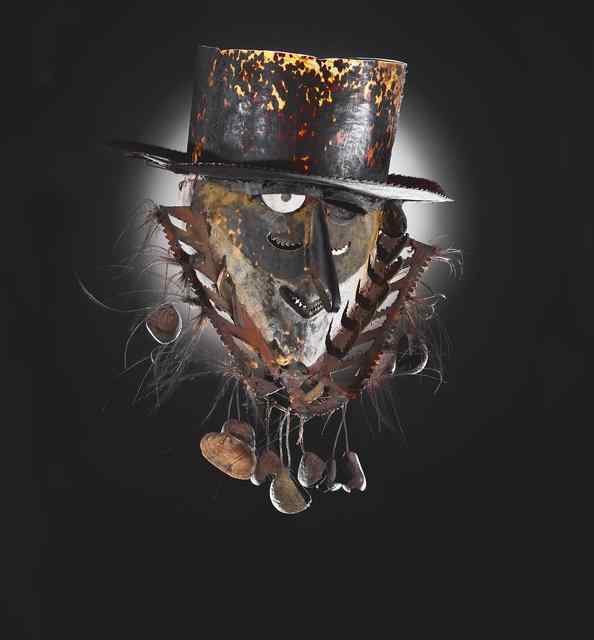 The Mask will be on display at Queensland Museum from 25 June 2011 – 04 December 2011. Thanks for the loan to my local gallery, QAG/GOMA. I am looking forward to this exhibition, as I knew TSI kids at school, had one of the Mabo claimants as a local priest, and remember celebrating the Coming of the Light with the TSI community, when I lived in Rockhampton. Also, this is inspired timing for the TSI exhibition, as the Surrealism exhibition from Musee d’Orsay has just opened in the two large downstairs galleries at GOMA. The TSI exhibition is being set up (even as I write) in the two large galleries upstairs. Some of the imagery will be complementary. It has always been a dream of mine to spend some time in the Torres Strait, but perhaps this is the closest I will get. Finaly, I very much enjoyed Te Papa, especially Brian Brake’s photos, when we visited in December. You made us feel very welcome.